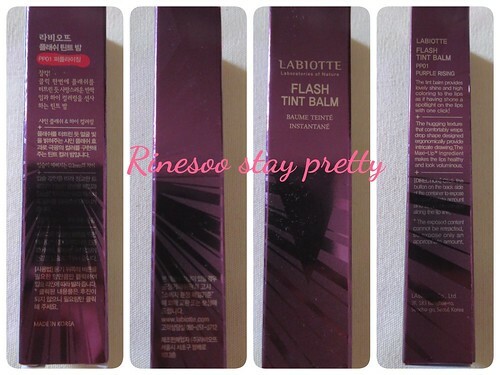 Labiotte became famous for their wine like presentation of their liptint/ lipstick. But now this brand’s ambassador is Nuest W.
They still have great packaging and the prices of their product is quite reasonable as well. I had bought this a while ago on Ebay so let’s see how this product is like. This lipbalm comes in a very classy purple wine box. 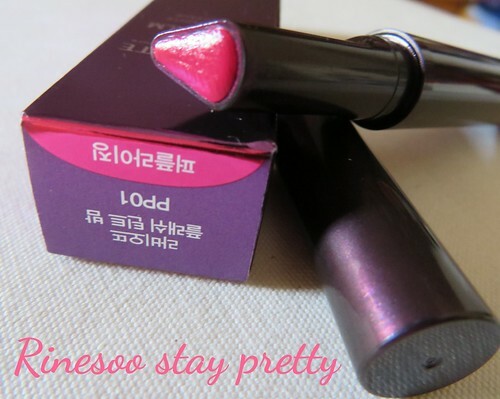 It has English and Korean explanation : this is a tinted lipbalm that provides colour and shine. The lipbalm itself comes in a tube where you click it at the bottom to make the colour pop out, but once it comes up it won’t go down so don’t click it too much. It has a very stylish feel to it and is quite sturdy. You can put this in your makeup pouch safely. 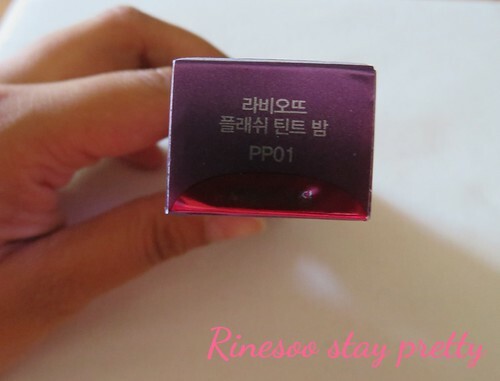 The lipbalm I have is PP01 which is fushia pink. This is a very bright colour perfect for spring/ summer, or anytime you want to add a vibrant pink to your look. 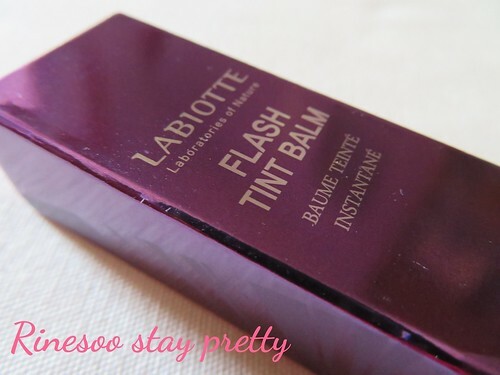 The texture of this lipbalm is quite buttery and is easy to apply. It really feels like it melts when applying on your lips. I do feel this is more of a lipstick than a lipbalm as the colour is quite strong. The staying power is a couple of hours, you need to reapply after eating and drinking. 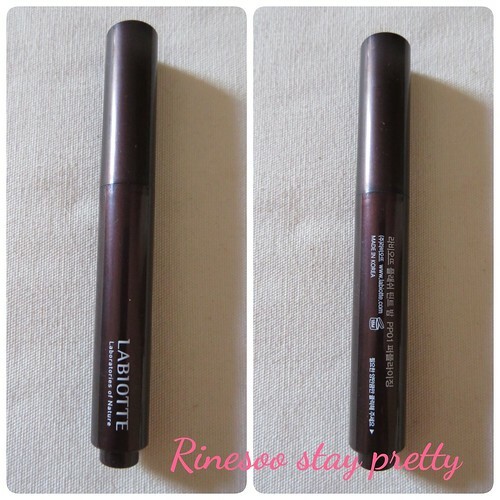 When I apply it directly from the applicator, the color is a bit too strong for me so I dab my lips a bit to fade it a bit. 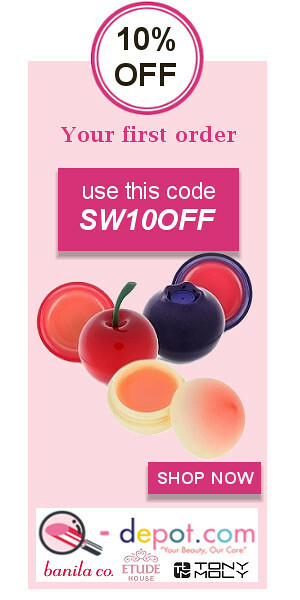 If you like colourful lipbalm this is definitely for you. 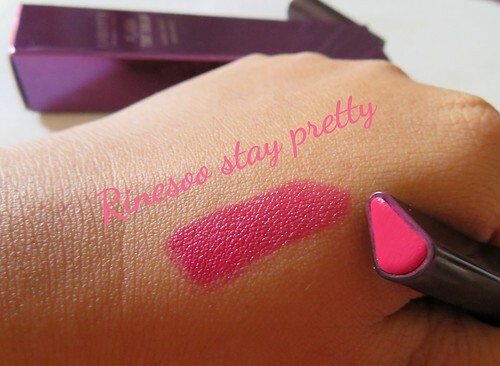 The design of this lipbalm is meant to be fuss free, but it can take time to get used to, to find the best way to apply it depending on your lips shape. 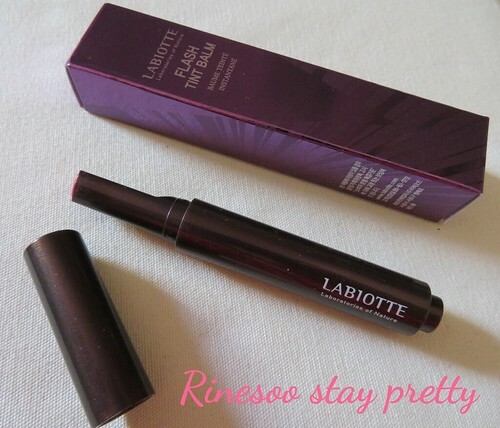 Nevertheless the colour is quite good and it does feel nice on the lips. It gives you nice shiny and colourful lips. This cost around 9~20USD online so shop around to find the best price!